Innovation or in-no-way-vation? | Helping the best to get better! ← Muscle fibres: a real story, one of the few …….. I am used to raise the bar high in working with clients, athletes and coaches. That is necessary because nobody will learn to jump higher by lowering the bar! In 30 years of coaches education I tried to come up with innovative ideas, concepts or products in order to improve training and performance. Sometimes my own concepts, but most often coming from some dear friends and colleagues. The word innovation is used a lot these days, also in sports, but in my opinion not always justified.For me the word “innovation” is not a “buzzword”, but rather a “blurword”. In my opinion an innovation means a new idea, new in the core, not a just a logical, gradual development or just the application of an old idea in another field. An example: the Fosbury flop in high jump to me is a real innovation, the use of a third or fourth blade in a razor blade, after the one- and two-blade razors, is not, nor is playing soccer with a tennis ball. I am rather critical of the innovations that are presented to us the last couple of years. Let’s have a look at the Sportslab at the swimcenter De Tongelreep in Eindhoven, home of Olympic champion swimmers Inge de Buijn, Pieter van der Hoogenband and Ranomi Kromowidjojo. Supposedly an innovative Sportslab where new inventions were installed. Keep in mind that Inge and Pieter already won many Olympic medals while training in the old pool, i.e before the start of the Sportslab. This centre is a state-of-the-art training centre; not due to new concepts but due to the installation and combination of existing applicable concepts. 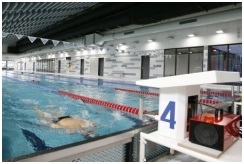 The new swimming centre has the ability to measure the force characteristics on the starting blocks. That looks like innovative, right? No doubt this is very useful. 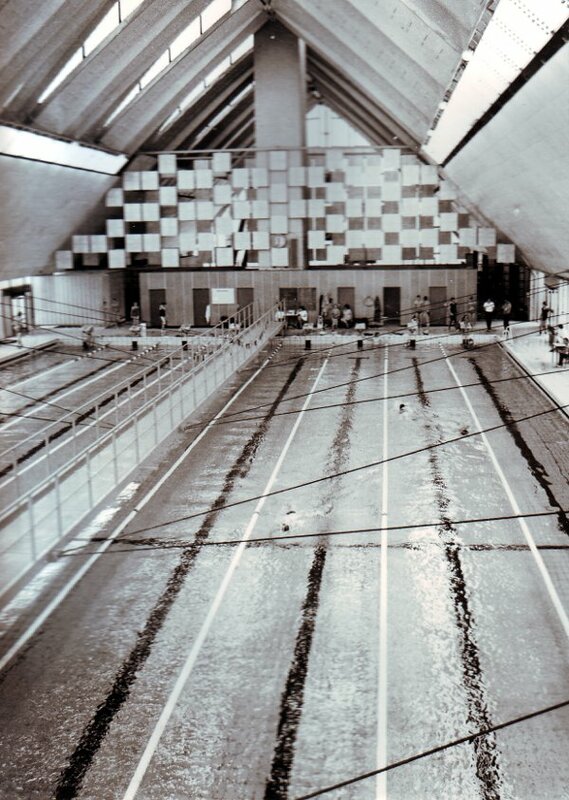 However looking back in history of swimming, force platforms built into starting blocks in swimming were already used in the former GDR in the preparation of their swimmers for the 1976 Olympics in Montreal. And of course the technology evolved, the use of computers and software, improved a lot, but this concept cannot be called innovative. 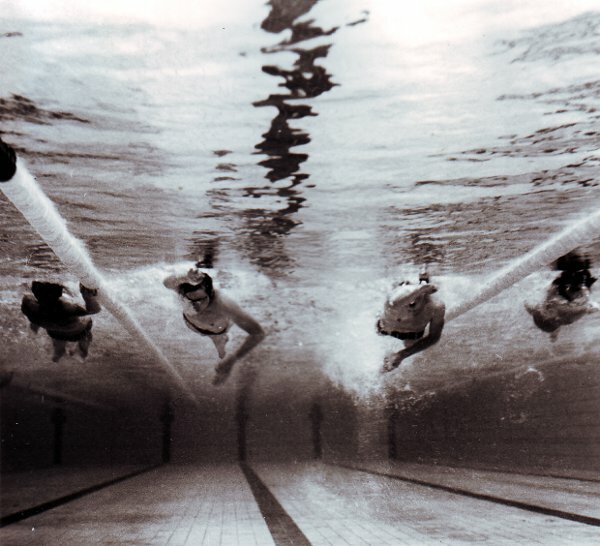 In the new pool underwater cameras are used so the swimmer’s training can be recorded and his or her technique evaluated. Once again: there is no doubt that this is very useful. But certainly: no innovation here. And once again, it was the GDR that already used this methodology back in 1976. Below are some of my favourite examples: filming the athlete’s in training for biomechanical analysis? When was this done first? 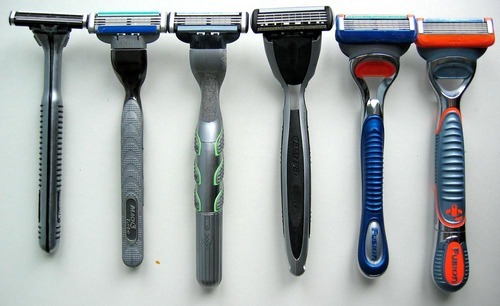 Your guess….. 1970’s, 1960’s, 1950’s, 1940’s, 1930’s? Also the world of fitness knows many gadgets and ideas that are promoted as “new” or “innovative, but in reality are just old, existing products and ideas, brushed off, repackaged, well-marketed and sold to us as being new, from Kettlebell or core stability to Crossfit. Innovations often stem from necessity like many products have been invented in war time. We should also realize that many inventions and discoveries have been accomplished by coincidence, by accident, by serendipity. A lot of people and organisations call themselves “innovators”, but unfortunately very few of them really are. 3 Responses to Innovation or in-no-way-vation? This is your valued opinion but, I’m afraid it is also merely a matter of semantics and definition. You limit your definition of “innovation” only to the dramatically & revolutionary. Many (if not most) people also describe incremental, hard working, structured, & research based step by step drive towards improvements as innovation, if they leads to successful performance improvements, new products, or better efficiency. In your definition, was the first Prius Innovative? No it has four wheels and looks and drives like a car. Was the I-Pod innovative? No, there already were portable music players. And what about Post-it notes? and the clapskate? And a latest ASML Lithography machine? Boring! Innovation in my opinion is a state of mind. Allways look at improvements incremental or revolutionary and at ALL the possible roads to reach them, even if it means using existing technologies or ideas from the past. Then just do it. Hello Cees, Thanks for your reply, your are absolutely right in this aspect: it is a matter of semantics indeed, blurring the difference between marketingspeak and reality. If we would accept your definition of innovation, tell me, what isn’t an innovation then? It seems that according to your definition every idea becomes an innovation. Considering the amount of money your organisation is consuming and the pretentions it has, we would expect a lot more value (read: significant and relevant innovations) in exchange. Talking to the best coaches and national coaches, nobody could mention even only one “innovation” developed by Innosports. That makes me wonder and worry. LED Sportfieldlighting by AAA-Lux; worldwide the first to illuminate sports pitches with LED licgting, making them more efficient and better lit. You.Fo a fully new sport. Introduced last month on the ISPO in Munich. MIO a alternative heart rate monitor withhout the nasty chest band, award winning at this same ISPO tradeshow. They might not be the top sport innovations you are focussing on but they are direct result fron tha InnoSportNL approach.